Question: I see many videos of qi (gong) master demonstrations where they push people away with their qi. I don’t see this on your site? Why? The Two Sifus Answer: Thank you for your question. Qigong demonstrations that show the technique of “pushing people away” seem cool enough until you understand & realize what they are actually showing you is a repelling linear destructive energy type of technique that can actually cause problems for the unsuspecting, especially if they are very sensitive. Since most systems don’t practice any type of temperature control they tend to keep their energy too hot. Over time this type of practice can lead the practitioner into many problem areas that can happen to their own body. In the school we teach students the science behind the cultivation of large amounts of energy and how different side effects that are either good or bad will occur. 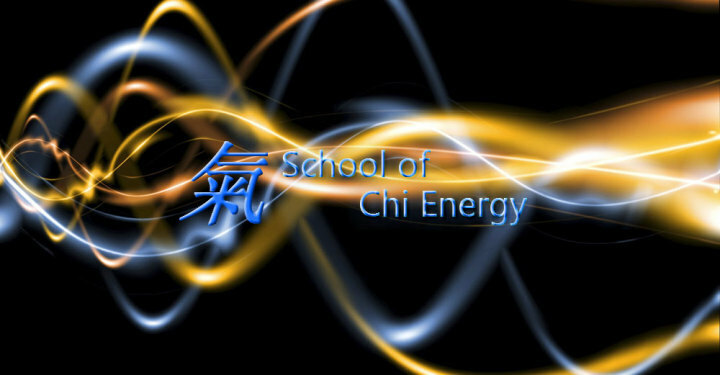 The School of Chi Energy shows both students and instructors how to built up their body’s nerve fibers for healing and extreme abilities that benefit themselves and others. In our online training we provide Instructor’s support to students, so they can learn to create specialized energy forms in this circular method (forms that other people can physically feel). We show them how to focus on transferring an actual cool temperature range and good feeling attribute right into the energy form itself. Then thru “repetitively” performing the nerve fiber building energy exercise, the student learns to create this “energy form” that they use to build up their own inner nervous system, which will allow them to be able to project even more energy than ever before. Certainly, any of our Instructors can show that type of chi technique, but we our teaching them to use their chi energy in much better ways than that. If we showed those kind of techniques we would get tossed into the same kind of group as they are in and we are not like them. If you check out our School of Chi Energy catalog, you will see the kind of techniques we teach our students. Chi can be used in good ways or bad ways. We teach both type of techniques, but we put way more emphasis on the healing part and not the destructive type ones. This is a brief explanation and for sure there is much more to say on the subject. The main point is that unless you control the attributes of the energy you are projecting, it tends to be on the hot & destructive side. Most systems that teach chi projection don’t take that into consideration, so if you get very good at projecting, you also tend to be very destructive. We teach people to change all that, so it is a desirable healing way to project electrical chi out of their energy in a safe way that won’t cause problems to themselves or to others. Since we teach students how bio-photons actually work and the best ways to use it, we avoid the pitfalls others go thru building up large amounts of chi. To learn more about chi or bio-photons and how they act. Please visit this link where Sifu Jones will help you out the most in answering your questions and more by explaining The Chi Energy Form Training Method.